Originally from Hungary, Eszti moved to Switzerland at age 6 and to the US in 1999. Animals have always been a passion of hers, along with all things in nature. 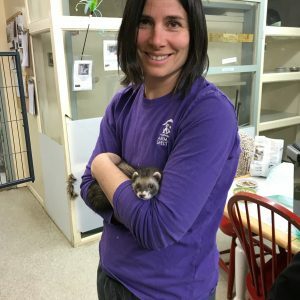 Her degree is in Business, with a focus on banking, but most of her career has been spent in animal care. 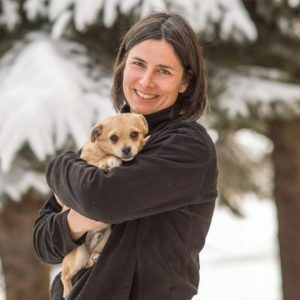 For the past 18 years, Eszti has been providing animal care in a veterinary setting, starting as a Kennel Assistant, becoming a Veterinary Technician Assistant, and then as a Surgical Technician at Sun Valley Animal Center. 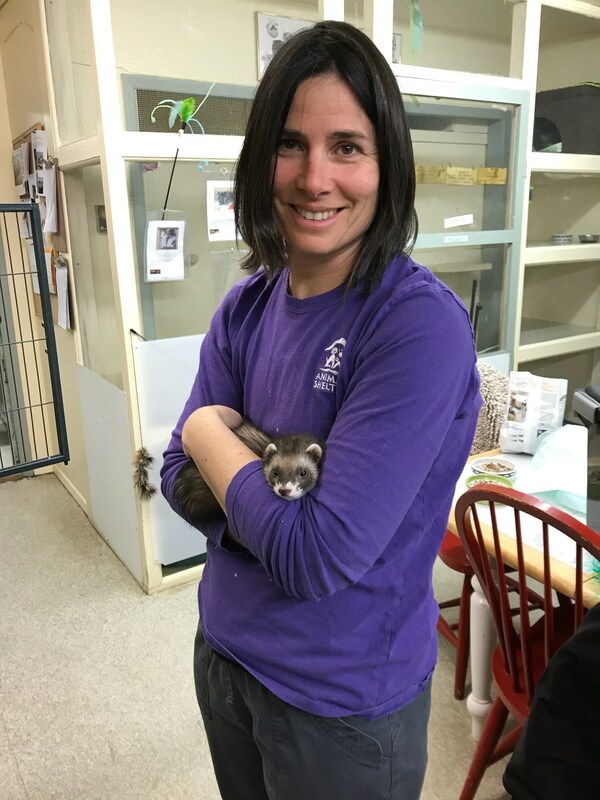 She has worn many hats at the Animal Shelter as well, from Bookkeeper to Vet Tech to her current role as Veterinary Clinic Coordinator. She loves being part of an organization that has a positive impact in animal welfare and finds that as she gets older, it’s increasingly important to her to be doing something that evokes positive change in the world. 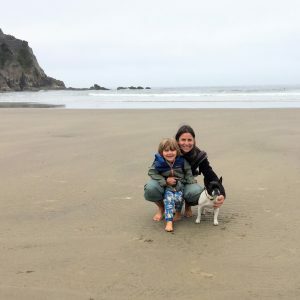 A self-described ” dog person” Eszti is especially partial to those smooshed face, breathing challenged pups like pugs and French Bulldogs, thanks to a special (in many ways!) pug named Monkey. She has been known to fall for a cat or a ferret every now…. 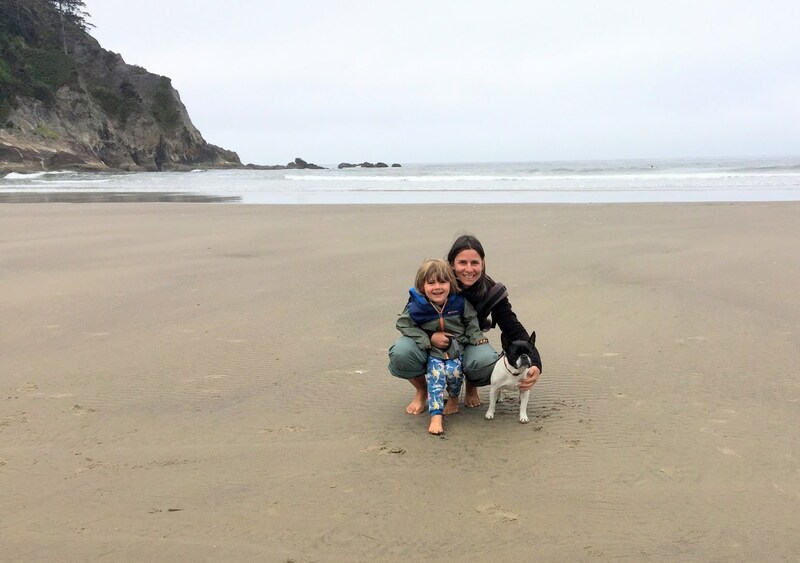 Eszti, her son Bowie, and their dog Josephine spend their free time taking advantage of all the awesome outdoor activities the Wood River Valley has to offer.